If you’ve been coveting this appliance, well, now’s the time to scoop one up. For today only, Amazon is selling brand new 6-Quart KitchenAid Professional Stand Mixers for just $266. The product is available to order through Amazon Prime, which means Prime members will receive free two-day shipping. 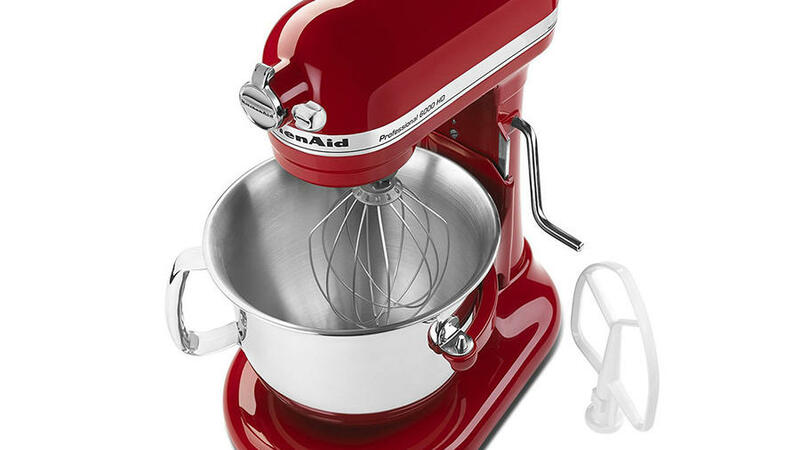 The list price of the mixer is $429, so this deal will save you $164 (38 percent). The mixer is available in two colors: Empire Red and Onyx Black, and comes with three attachments: the flat beater (for creaming cookie dough), the dough hook (for making bread), and the whip (for foaming and beating eggs). The deal is part of Amazon’s Gold Box Deals, which is a daily list of deals and limited-time sales. Other kitchen-related deals include a pair of kitchen shears, a collapsible silicone strainer, and a set of bento lunch box containers. Whether you’ve been saving up to buy a stand mixer for yourself or know a friend who would be thrilled to receive one, it makes sense to go ahead and buy it today. Come Valentine’s Day or that upcoming birthday, you’ll be happy you jumped on this deal. You can buy it here. Or find more thoughtful gift ideas for the baker in your life here.